#1 You have to be a fan of orchid corsages to appreciate this point. I am and I wish I had the nerve to drape a branch full of them from shoulder to rib cage or a single bloom as big as my face. Compare these with the sad fabric cardigan flower of what passes for FLF today. I do not even know what is going on with Eleanor’s corsage. while her companion’s is clearly a single branch of small orchids, the one Eleanor is wearing seems to be enhanced with kumquats and something shiny. 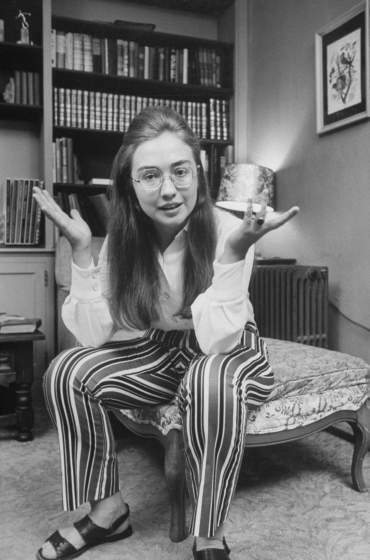 #2 While the other first ladies, save Rosalynn Carter, have multiple photos in the gallery, this is the only photo of HRC. While we’re all drawn to those pants – and who among us can resist staring at that bewitching intersection of stripes in the crotchal area – it’s those man sandals splayed outward that really fascinate here. Not to brag, but I just had the best salad in the history of salads. I should just go to bed now and call it a year. Goodbye 2014 – its not going to get any better than this! You know it suddenly occurs to me that at about the same time that I decided to go Mod/Veg, I also stopped wearing nail polish. It’s like I’m going natural or something without making a purposeful decision about it. I’ve already been doing the daily ingestion of apple cider vinegar for health purposes. AND I’m using Neem oil on my lemon tree, which is like natural or organic or something. And I use Marcal toilet tissue which is made from 100% recycled paper. Oh My Gawd. I don’t even know myself. 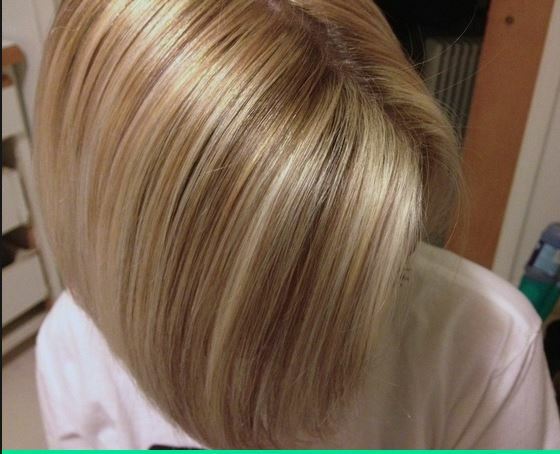 this is not my hair. OR IS IT? Listen, I think I’m still okay. I’m still enhancing my hair color and I have a closet full of polyester “fur” coats: a brown shearling, a full length black mink ( a “meenk”, I guess), a snow leopard car coat which I bought to match the interior of my car, a faux possum and I must include a jacket described as a “grooved berber fleece” but does in truth more resemble a light blue bath mat than anything else. The fake fur department is one area I wouldn’t mind going with the natural thing. Even so, if i start making my own cleaning products and searching for vegetarian dog food, come and get me. Otherwise, happy new year. 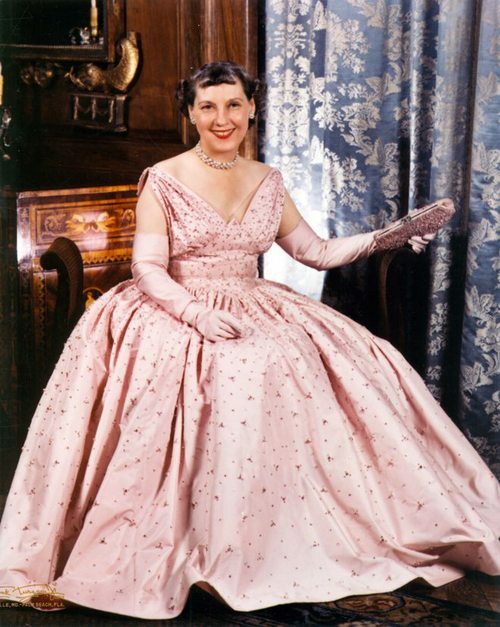 Everybody knows about Mamie Eisenhower’s deep and abiding love for the color pink but I ask you this: why is there a dearth of information about Lady Bird Johnson’s favorite color? It’s yellow. I know this because duh of the one million photos of her selecting that color for important events like inauguration balls, state dinners and her daughter’s wedding. As pretty as a little lady bird. 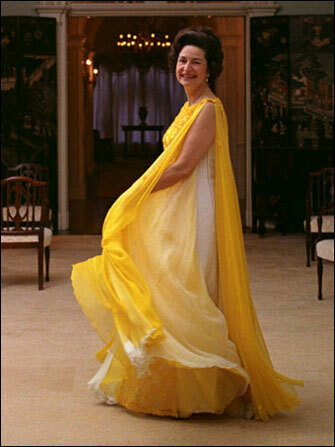 Johnson presided over the 1963 event in a canary-yellow bateau-neck gown by John Moore. The down-to-earth First Lady ordered her dress through Neiman Marcus in Texas. Here’s her philosophy on clothing: “I like clothes—I like them pretty,” she told Time, “but I want them to serve me, not for me to serve them.” Where have we heard that before? Oh that’s right – NOWHERE. 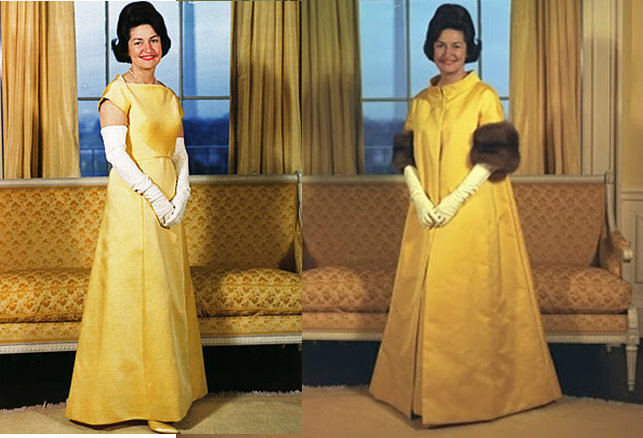 Color aside and generally speaking, styles selected for Inaugural ball gowns of the Republican First Ladies have endured and still look good. I’d wear Lady Bird’s ensemble today and I’d even give Mamie’s a whirl, even Barbara Bush’s. Who among you would care to show up somewhere dressed in the bedazzled hazmat suit worn by Rosalyn Carter, the thigh-clinging eggplant wonder of Hillary Clinton or too-long toilet-paper dream of the current FLOTUS?